Introducing the Forest Line from our new Canadiana Collection. Inspired by forest walks, cabins in the woods, and nights spent by open fires. WELCOME, I am Lara Lamb, the owner/creator of Lamb's Soapworks, a Canadian artisanal soap and body care business located in Airdrie, Alberta. Here at Lamb’s our commitment is to provide you, the customer, with the best hand-crafted natural bath and body products. Everything we sell is made in small batches to ensure you always receive the freshest possible product. 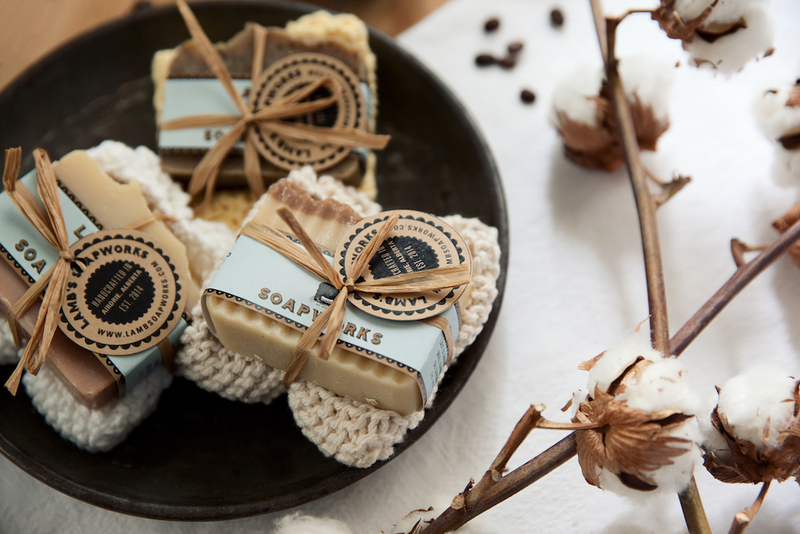 All of Lamb’s Soapworks’ products are made with the highest quality sustainably sourced vegetable based butters and oils, natural colourants, essential oils and phthalate-free fragrances. Our products are never tested on animals, are non-GMO, and are paraben and petrolatum free. Be the first to know about new products, specials, and events. Join our mailing list and receive 10% off your next order.